The Alarm Monitor Plus M1000 version offers all the features available in the standard M1000 version and is fully compatible. Additionally the M1000 Plus version includes Ethernet (Modbus TCP ) communication, an embedded web server and built-in alarm log. Connection to the PC is done through a USB interface. 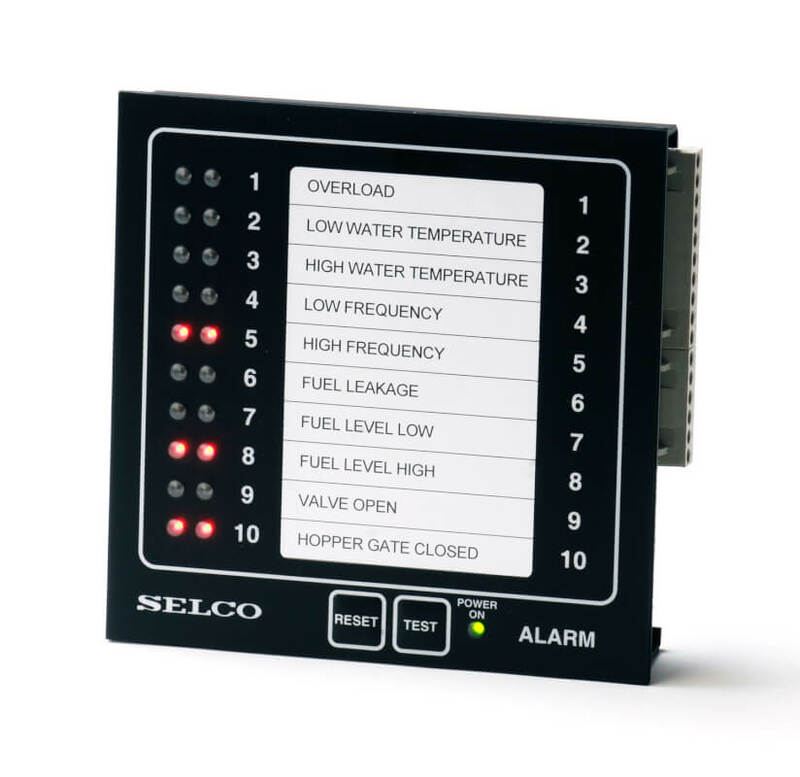 The SELCO M1000 Plus is an Alarm Monitor capable of surveying the state of up to 10 alarm inputs. The inputs of the M1000 Plus can be used to monitor both normally open (NO) and normally closed (NC) contacts. An alarm input will cause the corresponding LED to flash. Simultaneously a common alarm output and a siren output will be activated as well as an individual output. The unit has separate indications of first alarm, following alarms and acknowledged alarms. It also has dedicated inputs for remote reset and alarm blocking. The unit can be configured for sensor health monitoring and monitoring of its own supply voltage and insulation level. Multiple M1000 Plus units can be interconnected to form a large scale alarm system. In this situation functions are available for synchronizing the flashing of the LEDs and enabling global indication of first alarm for all connected units. Alarm related parameters like time delays, reset functions and other features can be configured through 16 programming switches or by PC through a USB interface. An alarm log is available through the USB interface or the embedded web server. The M1000 Plus is equipped with a 2-wire RS485 interface supporting MODBUS-RTU and an Ethernet interface supporting Modbus TCP.